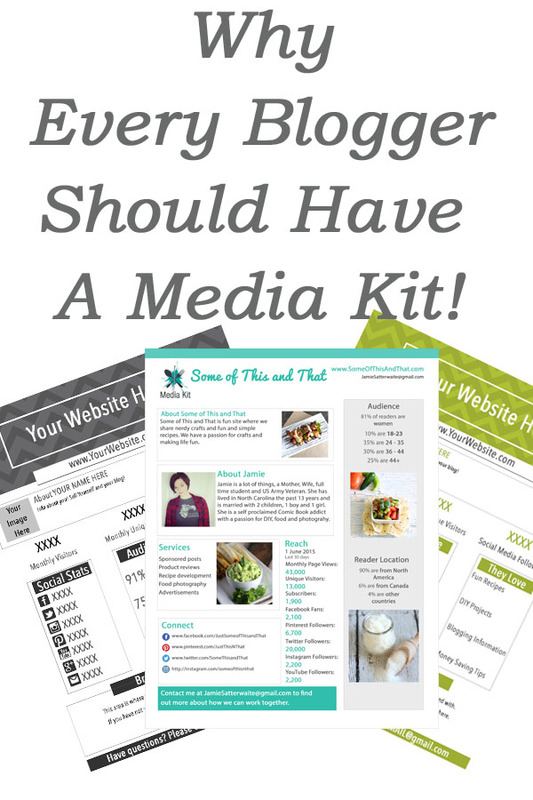 Why Every Blogger Should Have a Media Kit! Why do you need a media kit? If you are a blogger and want to work with brands, chances are you need a media kit. Would you go to a job interview without a resume? Chances are the answer is no. So, why would you pitch to a brand without having all of your important information ready to hand over? Even blogs with small numbers in the way of social media or page views can impress a brand with the right information. A media kit shows that you have your act together and know what you are doing! Not only that, it shows that you are serious about what you do and your not just in it for the free stuff or the money. What should be included in a media kit? Each blog is different, and your media kit should showcase what you have to offer. What makes you stand out from the rest? Information about yourself and your blog should be included, since you are essentially selling yourself. Stats should be easy to find and links to social media included as well. Add your social media numbers, your page views, unique views and your reader demographics. Brands have a target audience, by showing them what your audience consists of can give them an idea if your site is right for their brand. Include images from your blog, or other brands that you have worked with. Even if the potential client never visits your blog, they should be able to get a sense of what it is about just from your media kit. It is your first impression, keep it clean and to the point! If you take amazing photos, add a few in your kit. Worked with big brands? Include those too! Again, you are selling yourself! This is no time to be modest! I update my media kit every 30 days, this way I know the information is current and up to date. As your blog grows, your media kit should reflect that. Sometimes the difference between working with a brand or not could be a few social media followers, so make sure your numbers are always current. When I first started blogging, I was always intimidated by the thought of making a media kit. This is why I have came up with an easy and affordable solution. I have designed a few simple and elegant media kits that include all of the information we have talked about in this post. They are customizable and simple to update. 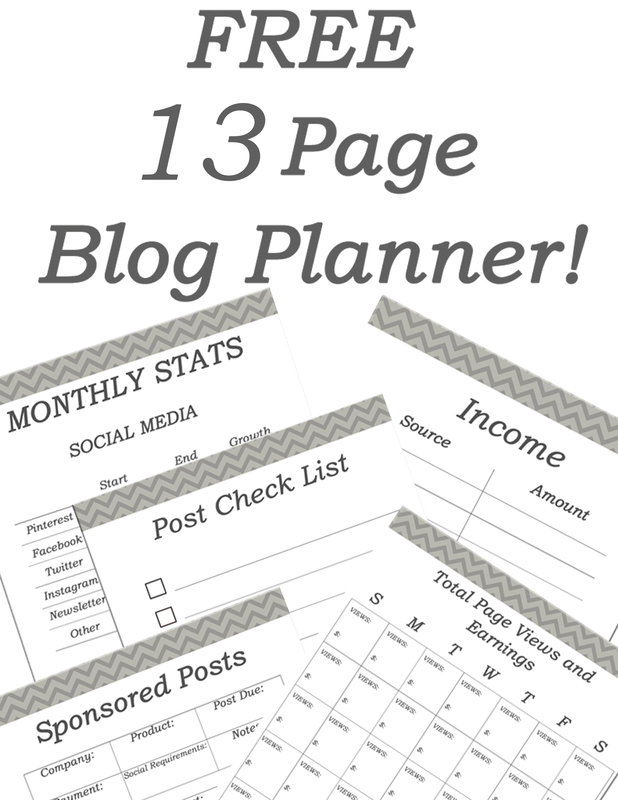 You can check them out at This and That Graphics, and while you are there, be sure to grab the free blog planner I have provided as well!